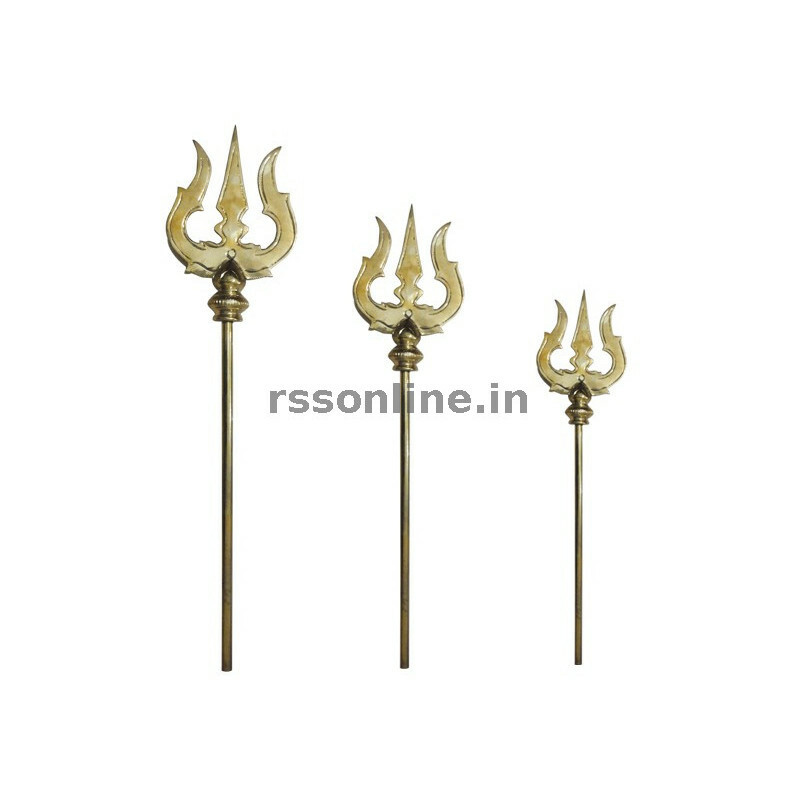 Brass Trishul / Trident of lord shiva is one among the many articles held along with by lord Shiva. While spear has single sharp head, Brass Trishul / Trident of lord shiva has there heads. Many God and goddesses poses weapons. Brass Trishul is posed by goddesses. Lord Muruga posses vel & flag. 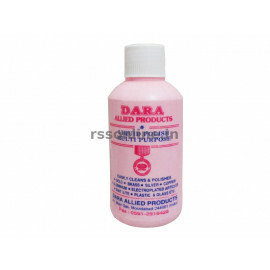 There are many logical / Spiritual supporting for the Brass Trishul / Trident of lord Shiva. The there heads of Brass Trishul / Trident of lord Shiva represents past, present & future also Brass Trishul / Trident of lord shiva represents creation, sustaining & destruction. An another representation is of three guna ie sathva, rajas and thamasa etc. 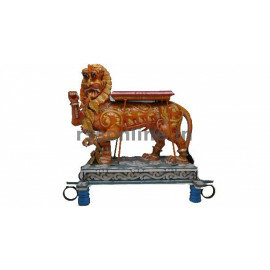 Brass Trishul / Trident of lord shiva are made in brass as well in copper. It has two portion as head and rod. 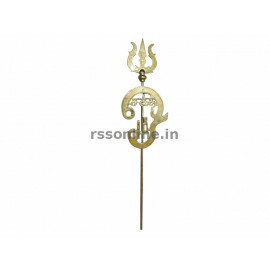 Brass Trishul/ Trident of lord shiva head portion is normally moulded and the rod position is screwed to that. 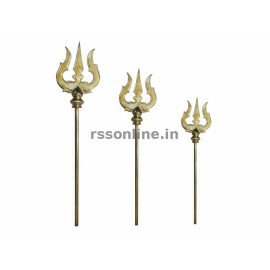 Brass Trishul / Trident of lord Shiva can be stand alone unit also as well to place in the hands of lord shiva. 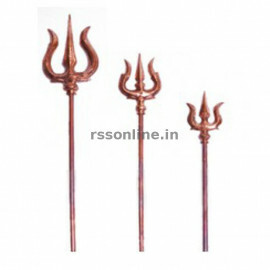 Brass Trishul / Trident of lord shiva is measured in height as required. As the height increases the head size increases. Brass Trishul/ Trident of lord shiva price is based on weight and the market price of brass or copper as applicable. 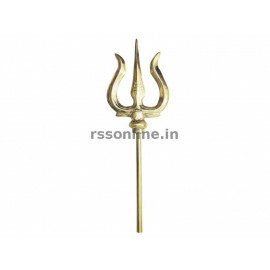 Brass Trishul/ Trident of lord shiva is available on line in www.rssonline.in. In some cases the musical article udukai or dhamaru also is provided in Brass Trishul / Trident of lord shiva.